The authors of the Energy Transition Outlook have made available for free the large forecast data set. DNV GL is encouraging stakeholders in the energy supply chain to use the information to develop their future strategic options. 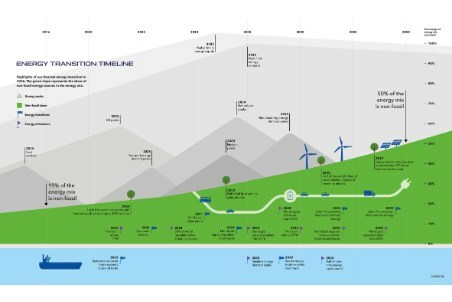 The Energy Transition Outlook is a model-based forecast of the world’s energy system through to 2050 and, owing to DNV GL’s independent view and technical expertise, has become widely cited voice on the energy future. World final energy demand by sector. World seaborne trade by segment. Crude oil demand by region. World installed electricity capacity in 2016 and 2050. “We have always been clear that our Energy Transition Outlook 2050 is an impartial, best estimate of the energy future and by releasing these data we are inviting other experts to explore how the world energy system will transform. This is a treasure trove for anyone connected to the energy supply chain who is interested in advancing informed discussion and engagement on the energy transition. There are different narratives on the energy transition and this data set can be used to create a company filtered picture of how it may unfold,” said Remi Eriksen, Group President and CEO of DNV GL.